This is a poster that i created for my University Project, the aim of this project was to walk around university area and take loads of photographs of different road signs, then play about with them and create something. 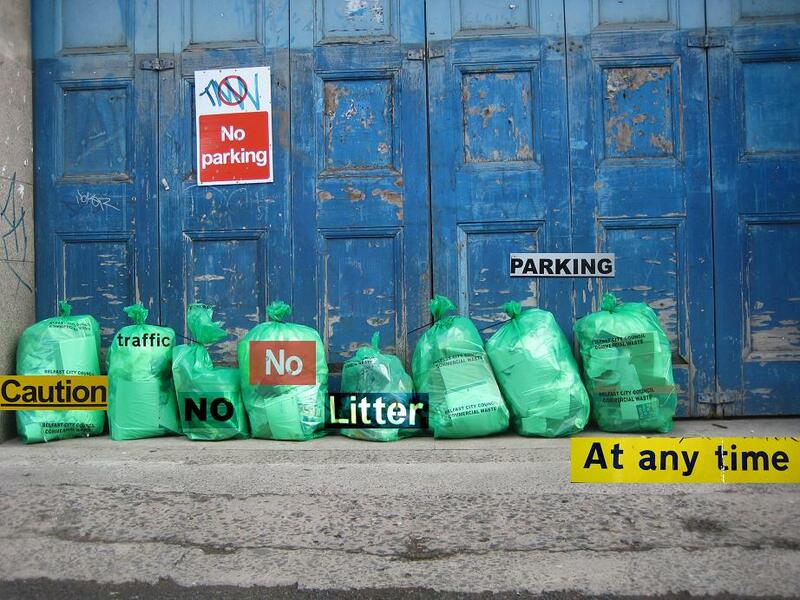 The first poster is a photograph of rubbish bags, i saw them while i was taking photos of the road signs and i thought it would be cool to use this photo for my Poster. I thought it looked funny as there was a sign of ‘NO PARKING’ on the gates, and it looks like those rubbish bags just parked there. 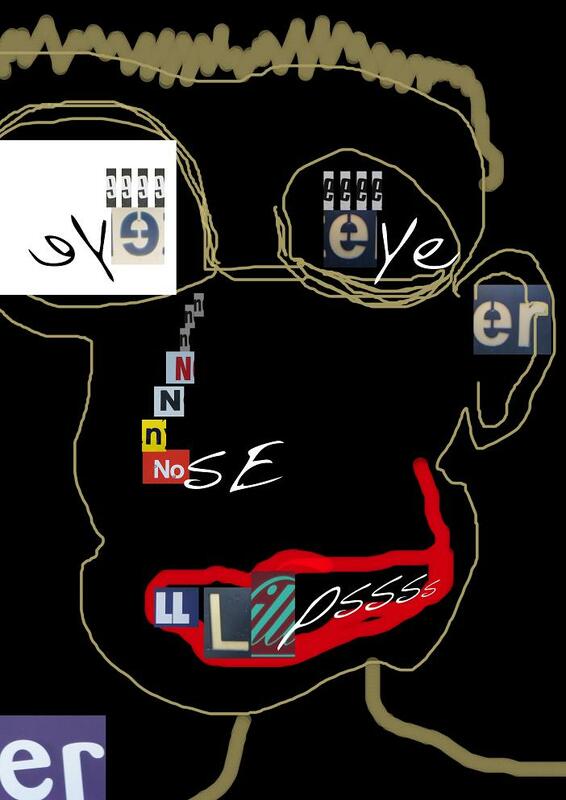 The second one is just a face that i created using letters from the signs, i tried to use particular letters for each part of the face, L for lips , E for ears, and so on! I really enjoyed this project as we were able to express ourselves and create whatever we had in our imagination.